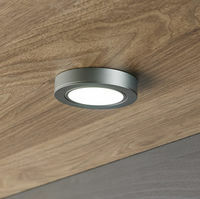 Lightsupplier.co.uk brings you the latest LED Under Cabinet Downlights from Leyton Lighting. 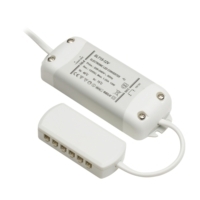 This offering is a High Lumen Output 12V Recessed fitting with a 3W chip and a 1.5m cable. The fitting comes in an anthracite finish which is the latest on-trend colour and is ideal for the kitchen, especially dark wood worktops. 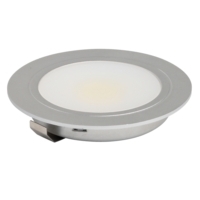 This fitting comes complete with a diffuser, which gives you the best spread of light with no visable LED diodes. 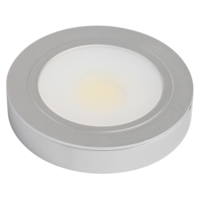 This latest LED COB technology gives you all the benefits of modern energy saving. 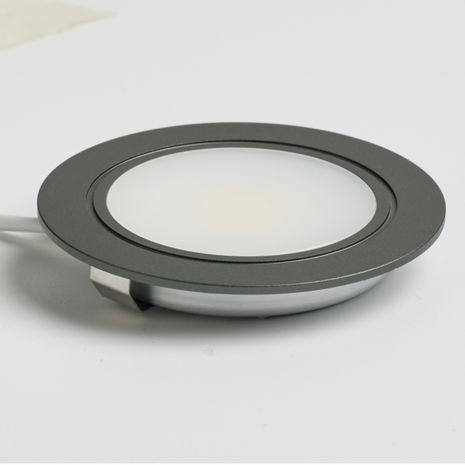 Ideal for installation underneath cabinets to give the best light onto your work surfaces, these lights can also be used in a number of other places such as bookcases and inside cabinets.